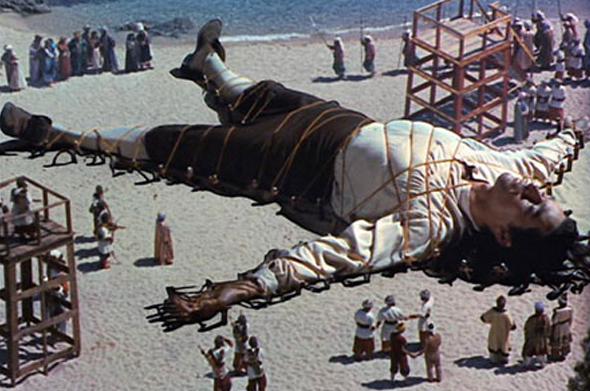 onathan Swift modeled his classic novel Gulliver’s Travels to satirize life in his time. The Lilliputians and their Kingdom of Lilliput were a study of what life was like in England. In the novel, the Lilliputians were all of six inches in stature, however possessing all the haughty pretention and self-importance of full-sized men. Adjectives such as: ill tempered, two-faced, ethically challenged, greedy, deceitful, and jealous all come to mind. Swift used several characters in his novel as a direct comparison to some of England’s leading political figures and the endless roadblocks and red tape they subjected the citizenry. Imagine if Swift were alive today? What if he was tasked with writing a satirical novel about the United States? At the end of Book I, Swift draws a comparison between Gulliver (the gullible man) and the Lilliputian (vicious diminutive politician), “The politician is always a midget alongside Gulliver.” I do appreciate the irony and cleverness of Swifts prose. However, I feel that the modern day American version would resemble a big budget action film directed by the likes of Michael Bay with the nasty Lilliputians played by the likes of Dwayne “The Rock” Johnson and Vin Diesel. The modern Lilliputians that are tying us down are a powerful and frightening sort. We have two main instruction manuals for doing business in the United States, one being the Code of Federal Regulations and the other being the tax code. The Federal Code of Regulations in 2013 was 175,000 pages and growing fast. The annual cost of these rules mostly written by unelected bureaucrats stands at close $1.9 trillion according to the Competitive Enterprise Institute. The CEI states, “If it were a country, U.S. regulation would be the world’s tenth-largest economy.” The cost of this regulation amounts to $14,976 per household every year and growing. The tax code is another rules manual for the country and it is now 74,608 pages long and growing. To show you how ridiculous this is, look to the original code, which was 400 pages long in 1913. What Jobs is really saying is that simplicity is key. We essentially have two manuals for doing business in the United States that are over 200,000 pages combined. That fact alone is an incalculable weight on business startups and small business growth. Couple that with the fact that all new net job growth over the past thirty years has come from firms five years old and younger, and that is in my opinion the reason why our labor markets is so anemic and wage growth virtually non-existent. The United States needs to take a page from Apple Computer and make things as simple and easy to use as possible. A user-friendly government is a bit of an oxymoron, however it is something that we should strive for. We are not even in the top ten in competitive indexes. Meaning that there are currently 11 other nations where it is easier to start and build a business and make a life for oneself than here. Another horrific side effect of our “Lilliputians on Steroids” is how it actually gives unfair advantages to large firms. Big companies can afford compliance costs, they can ship jobs overseas, they can spread costs over wider swaths of employees, and they can cut big checks to the Lilliputians to write nice big fat loopholes in regulations and tax law. A recent study from the National Association of Manufacturers noted that per-employee regulatory costs for firms of fewer than 50 workers could be 29% greater than those for larger firms. For example: small U.S. banks have been disproportionately hurt by post-financial crisis regulation over the too-big-to-fail variety. In my opinion, regulation such as Dodd-Frank never did anything to curtail big firms. They are larger, more powerful and in my opinion more crooked than they were before the crisis. The smaller firms can’t afford the regulatory costs so the too-big-to-fail guys inevitably swallow them up. I had the opportunity to get out to the Napa Valley wine making region several years ago and made it a point to go the Grgich Hills vineyard. Aside from making absolutely stellar wines I was excited to go to the establishment owned by the man that changed the California winemaking industry forever. The 1973 Chateau Montelena Chardonnay crafted by Miljenko Grgich are listed in the Smithsonian’s History of America in 101 Objects. That wine was the champion of the 1976 Paris Tasting that showed the world that we could make wine as good if not better than anyone in the world. Prior to that tasting, California wines were held in little regard internationally. The story behind the wine was portrayed in the feature film Bottleshock. Since then, the California wine industry because of its ability to innovate started attracting some of the top producers in Europe to try out new and exciting techniques that were illegal back in Europe because of their own issues with the Lilliputians. The Lilliputians are slowly but surely stifling the type of innovation that fills museums like the Smithsonian and builds great nations like ours. Jim Dyke Jr. a California winemaker/innovator penned an opinion piece in the Wall Street Journal that I have to admit really depressed me about the current state of affairs and climate for small business and innovation. In his piece, he talks about the idea they came up with in regards to storing wine. Their hypothesis was if wine was stored underwater in the ocean at the right temperature and tidal movements the wine would age at a much faster rate. So like all great innovators they tested their theory. Here come the Lilliputians! First the Alcohol and Tobacco Tax and Trade Bureau sent them an email stating that it found several potential safety concerns regarding ocean-aged wine. Then the Lilliputians tried to end their experiment. The Tax and Trade Bureau sent a ten page letter informing the company that the ocean aged wine could not legally be sold, shipped, or consumed (EVEN BY THE OWNER!). The Food and Drug Administration interpretation of federal law, wine sealed from exposure to saltwater and placed in the ocean is still defined as “adulterated” because it has been held in “unsanitary conditions.” Last but not least, the agency threated to revoke their Federal Alcohol Administration Act permit, even though the couple of dozen cases involved are a minuscule fraction of their total annual production of fine wine. Unfortunately for small business owners and innovators and subsequently our country, we do not live under a presumption of freedom any longer. The Lilliputians in government have seen fit to regulate all aspects of our lives. Government is not aligned with the best interests of its citizens; they are there to serve themselves. When you see that in order to produce, you need to obtain permission from men who produce nothing. When you see that money is flowing to those who deal, not in goods, but in favors. When you see that men get richer by graft and by pull than by work, and your laws don’t protect you against them, but protect them against you. When you see corruption being rewarded and honesty becoming a self-sacrifice. You may know that society is doomed.